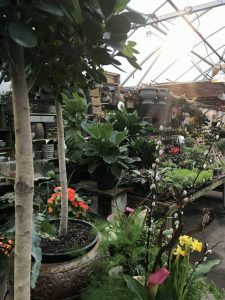 If you’ve never stepped into a lush greenhouse in the middle of winter on a rainy, cold day (or any day for that matter), you’re in for a real treat. 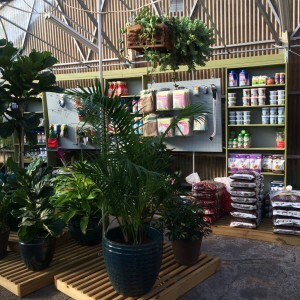 January was a turn the greenhouse upside down month, as pretty much every last thing was moved and rearranged, including one entire area that held an abundance of pots. 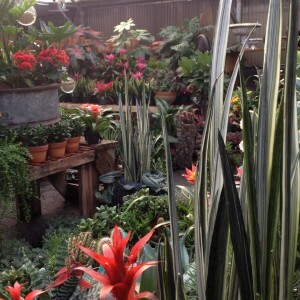 Anyone who ever said working in a greenhouse was a walk in the park never worked with us! Hard work aside, we’re pleased with the changes and hope you like it as well. The cats took part too, though Tacca was more than happy to settle into a box and watch the goings on, and they all found new spots to take naps! Liam, true to his personality, likes to be center stage, right at the front door where everyone who sees him gives him a pet, and sometimes Tacca joins him there. 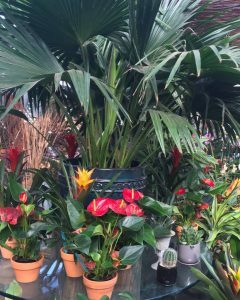 Of course there are beautiful houseplants of all sizes in the greenhouse, and we pay attention to them so they’re at their best when you take them home. 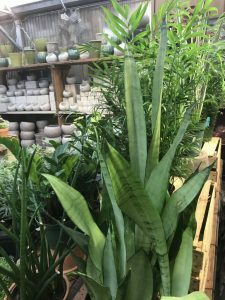 We’re all plant junkies too and are always on the lookout for new and different offerings (One for you, one for me…). 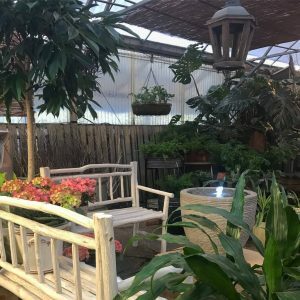 For everyone who loves tiny, miniature garden magic, Haley has taken over the display, transforming a corner of the greenhouse. Our fairyland table now has a new backdrop and floating clouds above it. It’s a special spot for the young and the young at heart. 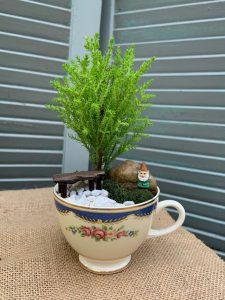 Margaret was inspired to make her own little garden in a teacup. She had a little gnome; now he lives under a “tree” with a bench nearby if he wants to sit a spell. It is so cute! 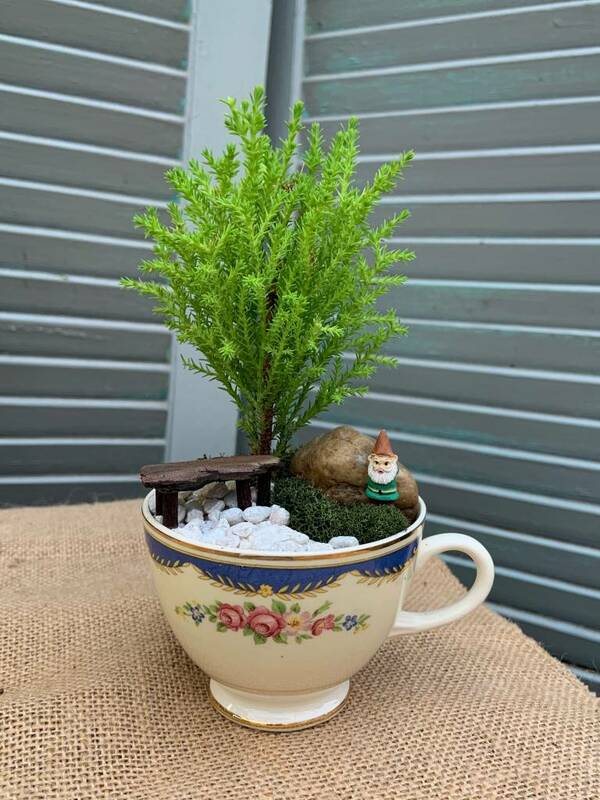 Perhaps you have an interesting container you’d like to work a little miniature magic on. They’re so much fun, and we have everything you need to make it happen. If you’re on social media, we are too! We were discussing the other day that the shop is the perfect spot to take social media pictures, so look for us on FaceBook – Oak Street Garden Shop and Local Market, Pinterest, and Instagram too. 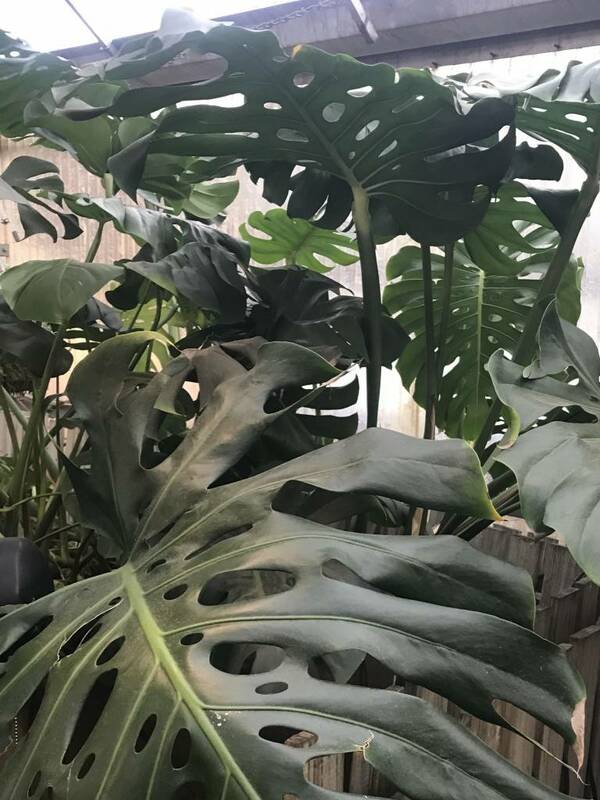 Then, while you’re visiting the shop, take a selfie and tag us (We have the perfect monstera for #monsteramonday !). 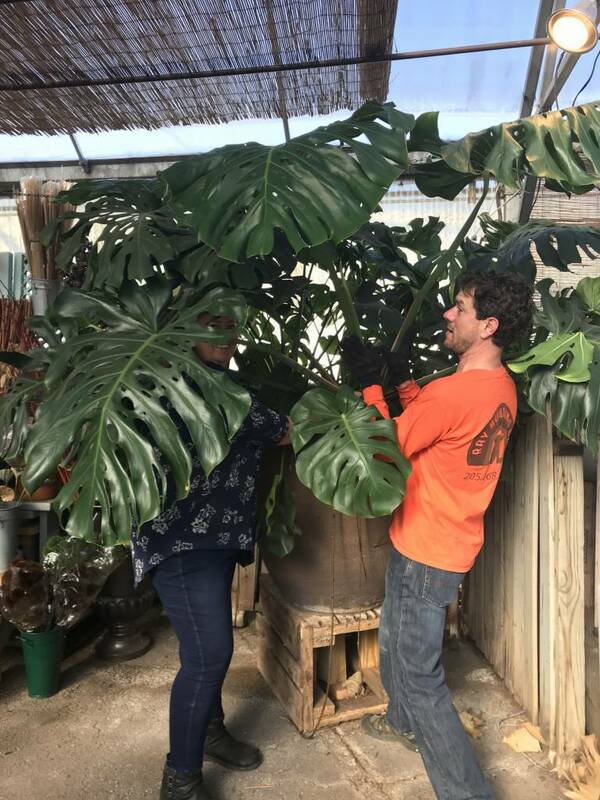 The enormous pot ours is planted in was rotated, the huge leaves cleaned, and lots of pictures were taken of it. It has been our shop mascot for many years now, and we think it’s worthy of Instagram fame! 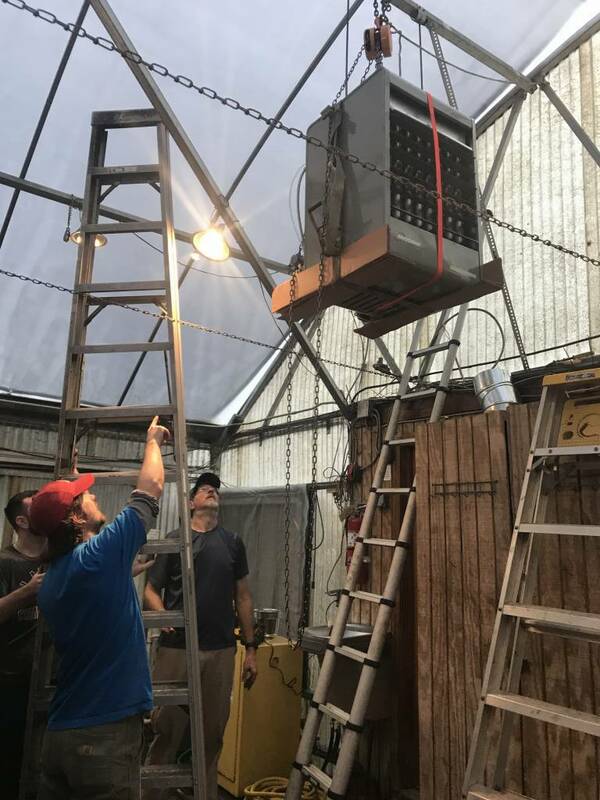 We all appreciate being warm, and well maintained and reliable heaters are the backbone of any greenhouse. One of ours finally wore out after almost 30 years of use, and while replacing it took the better part of a rainy Saturday, we’re sure the plants (and us) will feel the difference. 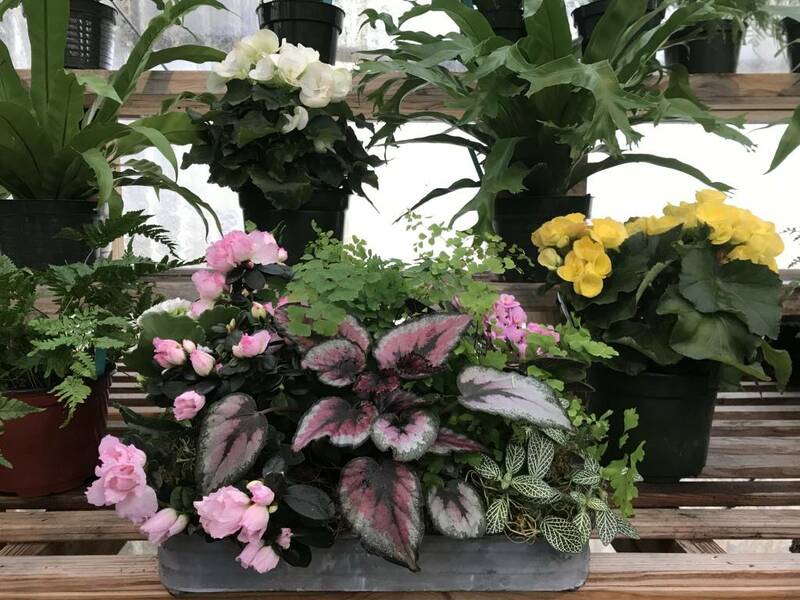 One thing is for sure, a lush greenhouse is the perfect place to be on any winter day – among houseplants and orchids, flowers, succulents, and blooming spring bulbs. Take a moment to walk through, you won’t be sorry! This entry was posted in Indoor landscape, Indoor Plants, Locally Owned Garden Center (LOGC), Winter and tagged greenhouse, houseplants, monstera deliciosa, winter in the greenhouse on January 20, 2019 by Kris Blevons. 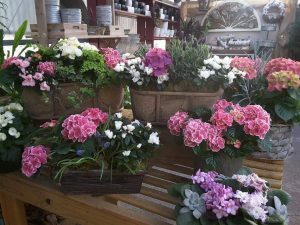 If you need a beautiful flower for your Valentine, look no farther than your nearest independent garden shop. 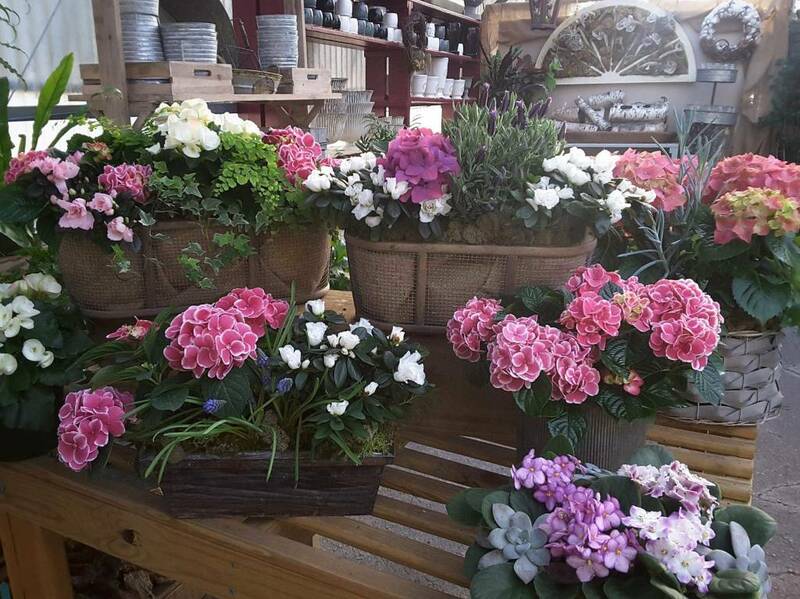 Sure, you’ll see all sorts of blooming plants in every other store on the block (They are everywhere! 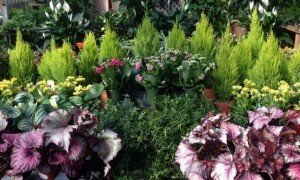 ), but we like to think that, since plants are what we do, 365 days out of the year, we offer the best. And isn’t that what you want for your love today and every day? The weeks leading up to Valentine’s Day really are beautiful in the greenhouse. 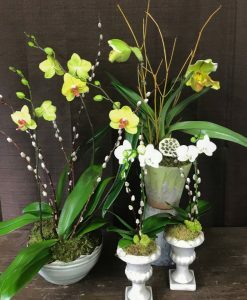 Orchids of all colors, forced hydrangeas in bloom, and the promise of spring with daffodils and other bulbs fill the tables. 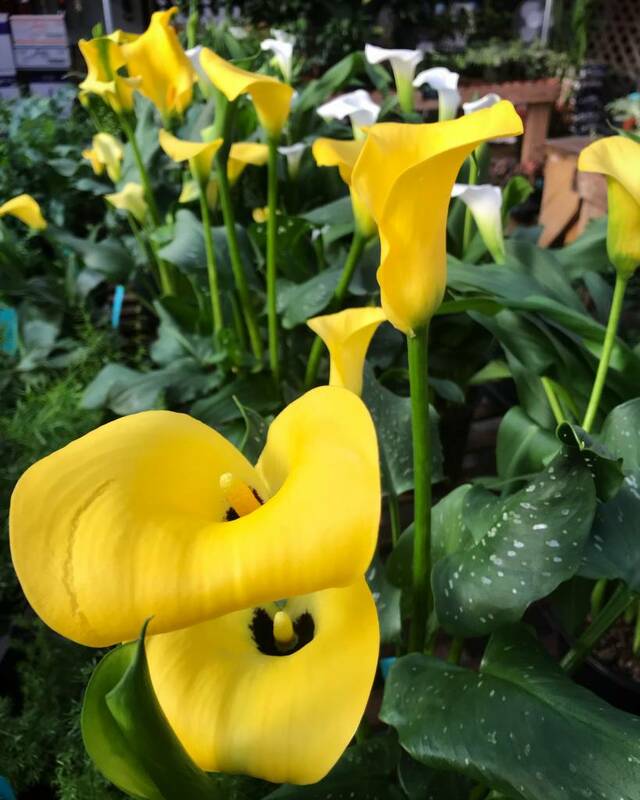 It may be winter on the calendar, but it’s spring in the greenhouse! 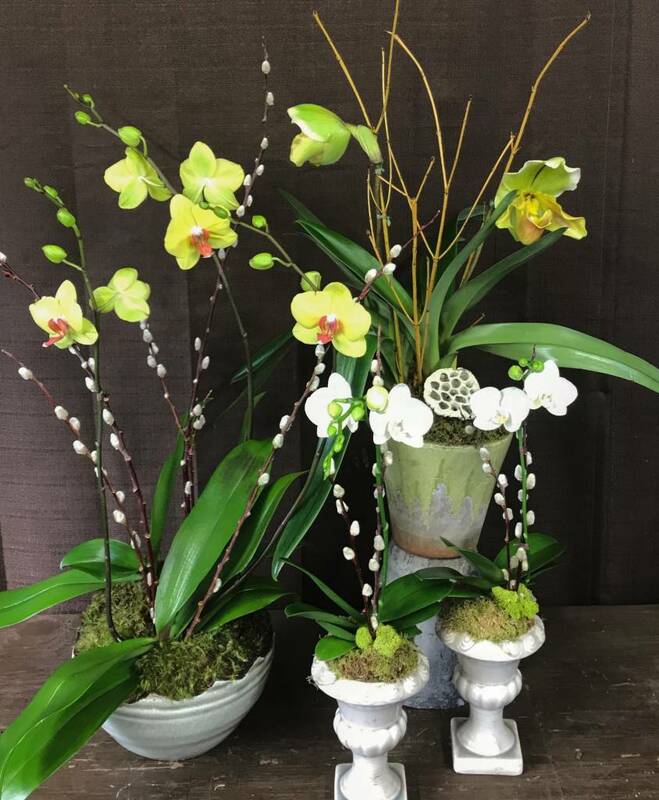 Whether your gift is an elegant orchid in a pretty pot or an arrangement of mixed plants and flowers in bloom, we’ll make this holiday with your love special. To place an order for a custom design give us a call at 205-870-7542. 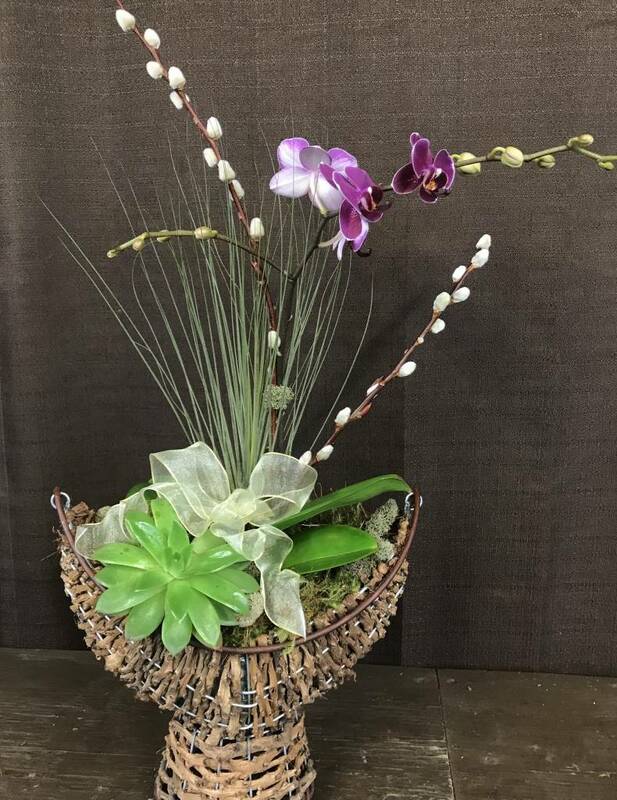 This entry was posted in Arrangements, Bulbs, February, Flowers, Holiday, House Plants, Indoor landscape, Indoor Plants, Locally Owned Garden Center (LOGC), Orchids and tagged valentine flowers, Valentine's Day on February 8, 2018 by Kris Blevons. Our New Work/Design Space – Change is Good! 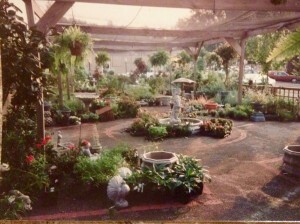 Last year I recounted some of the changes Oak Street Garden Shop has been a part of, or witness to, in the “25 Years, …A Look Back” blog posts, observing that years ago we didn’t have the luxury of camera phones to help us easily document events of importance for our little garden shop in the heart of Crestline Village in Mountain Brook, Alabama. How far technology (and we) have come! Our website and blog, Facebook, Instagram, and Twitter all allow us to be “out there” and connected, for better or worse. So, here’s the story, in almost real time, of the big switcharoo of hard goods area into design area and vice versa. 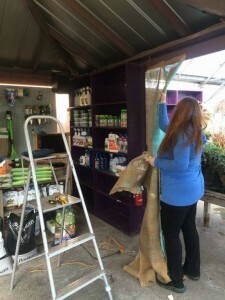 Last fall, when Pinkie, Jamie, and Molly brought up the idea of moving our work area from the far end of the greenhouse to behind the cash-out area right up front, I was immediately on board. We’d been idly discussing on and off for about two years how uninviting it looked behind the cash registers. In a space dark and hard to get to, our sales of fertilizer and other hard goods were steadily declining. 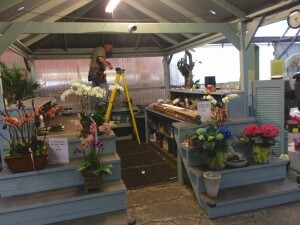 Add to that the fact that our present design area was far from customers and we couldn’t always see if people needed help (Owner Billy Angell was never happy about that. ), switching the two areas made perfect sense. 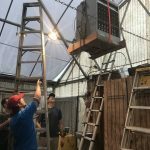 I knew Billy would be pleasantly surprised that we wanted to make this move, and, after discussing what we would like, he came up with a plan in January, 2016, and we were ready to go. We all decided that a light color would open up the space and would be a welcome change from the dark brown and eggplant shades. 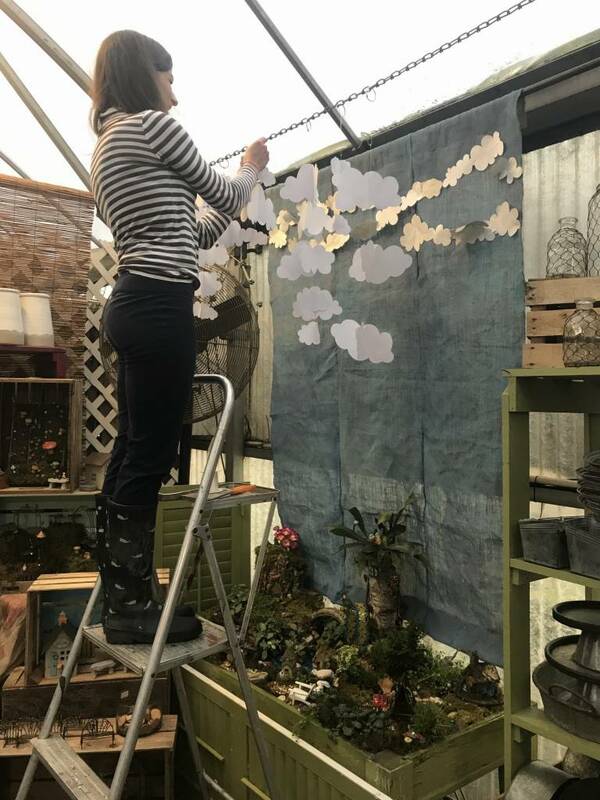 Jamie, Molly, Pinkie, Angie, and Danielle spent countless January hours painting the ceiling structure, posts, and everything in between a lovely blue (When they were finally finished in March, none of them wanted to lay eyes on another paintbrush!). Thank goodness that January and February are relatively slow months, because we continued to work in the old design area even as it was being dismantled and packed up. Boxes and boxes of burlap rolls, florist picks and wire, ribbon, scissors, rock and pebbles for terrariums, moss, glue guns and glue sticks, sold tags, Sharpies…it felt like nothing was where it used to be and everything I needed was somewhere else. 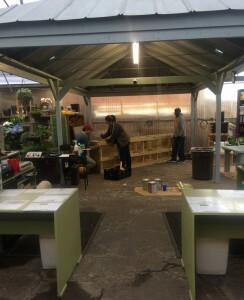 This obviously went on for weeks as the new work area was slowly transformed from dingy and dark to light and open, becoming a welcoming entrance to the greenhouse. 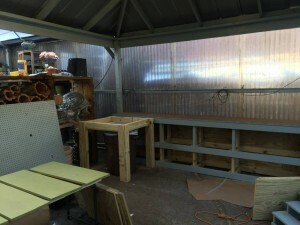 Bert began building the steps that would display finished arrangements and serve as end caps to the two work tables, two potting benches to anchor the far ends of the design area, and storage shelves for moss boxes, ribbon and other materials. Molly, Jamie, and Danielle taking a break..
Angie, Jamie, and Molly picked up their paintbrushes again. Danielle wasn’t out of the woods on painting either, spending countless days covering the shelves that were moved into the new hard goods area. It was coming together slowly but surely. Pinkie has great organizational skills, so I asked her to get whatever she thought would work best for our new space. Since we would be right up front, I wanted to be sure all of our work items were organized and easily accessible. 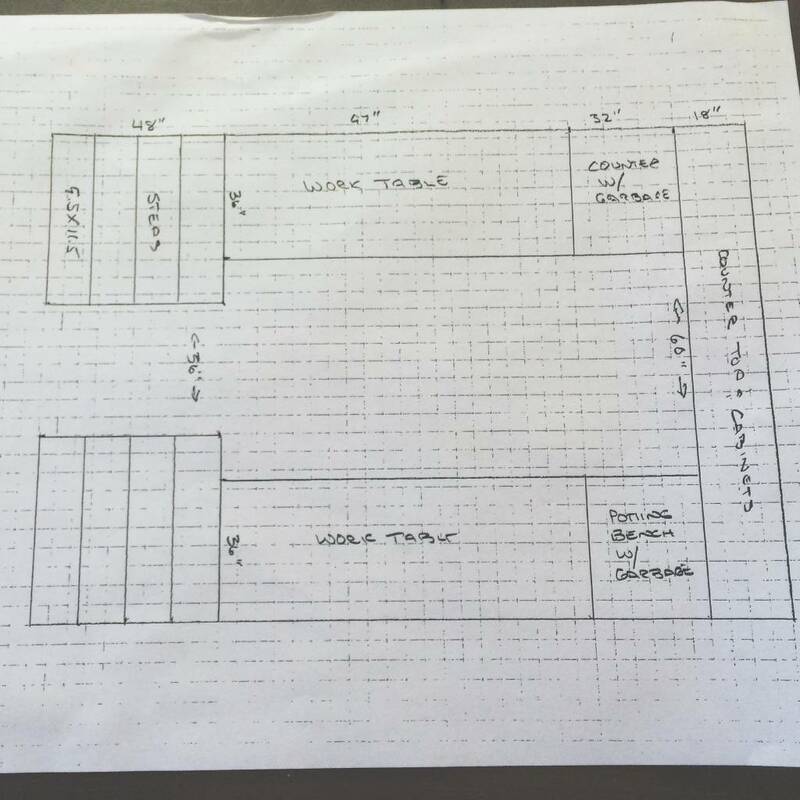 She measured all the storage areas, decided what we needed, and made shopping trip after shopping trip to start us out right with a clean, neat, and organized design area. I’ve said over and over that one of my favorite things are the baskets she found that an entire box of sheet moss fits in (No more ugly moss boxes everywhere!!) and that slide onto the back shelf within easy reach. We needed more light, and everyone wanted fans to keep us as cool as possible, especially in the summertime heat. The old fans we were using were barely working, and we wanted something better. We love our new design area! Our electrician, Ken, installed new lighting and plugs, and Billy order two brand new wall mounted fans that caused a lot of excitement when they arrived. Finally, with the two fans mounted, our new design area was complete. What a transformation! The new hard goods area looks so much different too, in what used to be our work/design area. It’s now home to all the fertilizer, potting soil, samples of mulch, topsoil, soil conditioner and topsoil, tools, children’s tools, gloves, pruners, organic products, chemicals, mache liners, and some of our light weight pots, and is shaded too. Billy and Pinkie took charge of organizing it, and it’s much more inviting by a country mile! 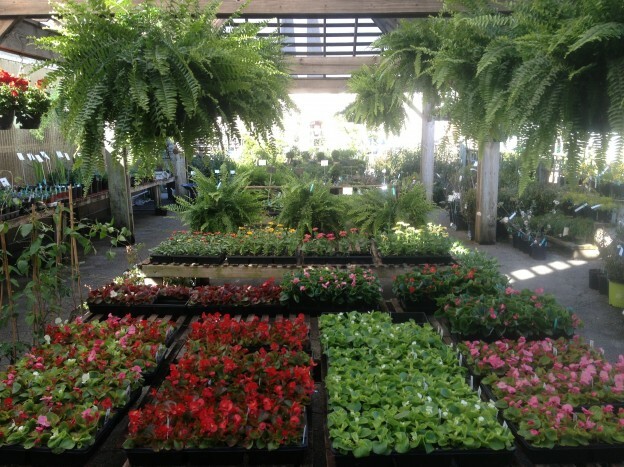 With the busy spring season upon us, we hope you’ll stop in to browse the nursery for any plants you need for the garden or planters. 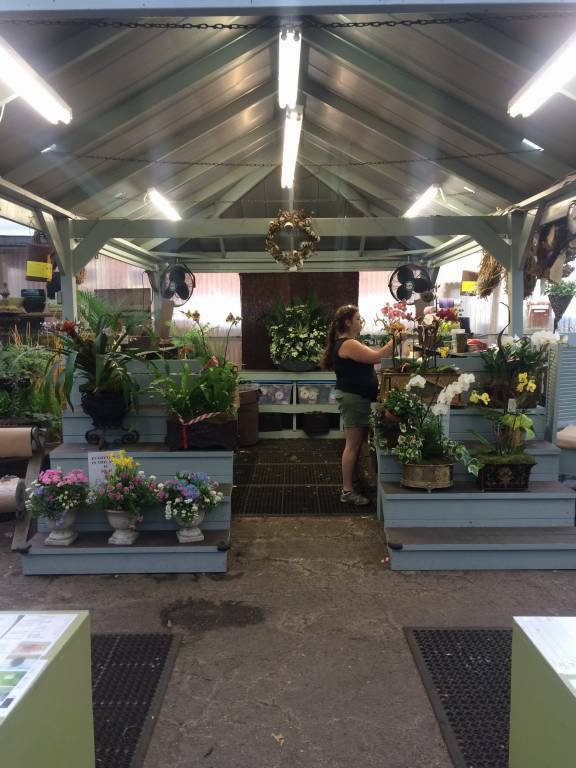 And, when you come in the greenhouse, be sure to take a look at our new layout too! This entry was posted in History, Locally Owned Garden Center (LOGC), Staff News and tagged change in the greenhouse, new work area, work area redo on April 13, 2016 by Kris Blevons. How do you describe the passage of 25 years in a blog post? That’s a tough question, and one I grappled with for quite some time before writing and rewriting this first post. The process would probably be easier for an outsider, dryly describing dates, events, and facts, I thought. But, having worked at Oak Street Garden Shop for 24 of these 25 years, it’s so much more than the passage of time marked as dates on paper. 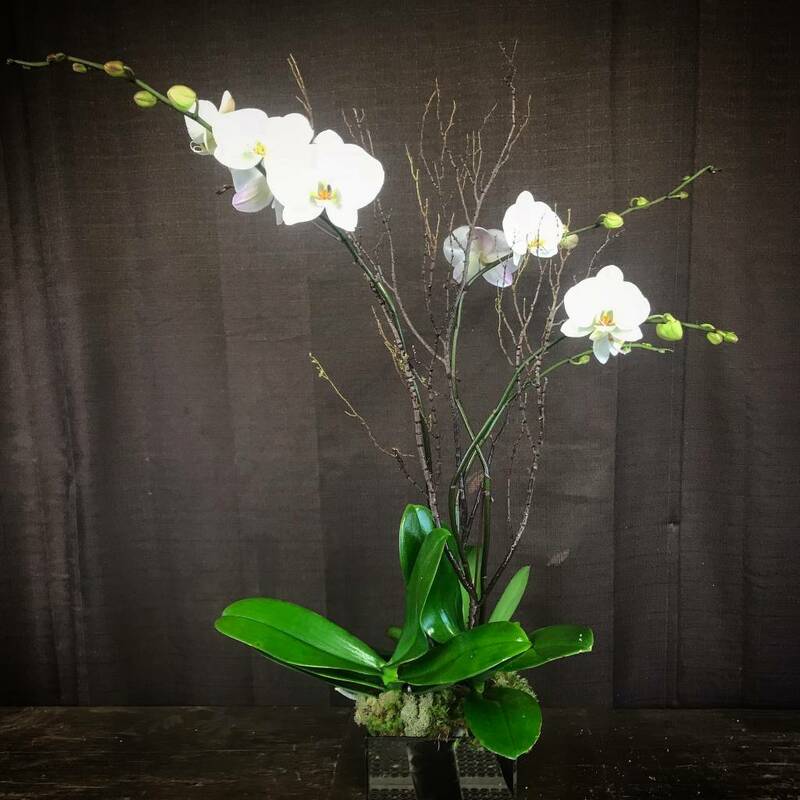 It’s all of the wonderful customers we’ve known from the very beginning, many becoming friends, and, sadly, more than a few with us only in memory. It’s the vendors we’ve created lasting relationships with, through the boom years and a few rocky spells, steady compatriots in a fickle, tough business. 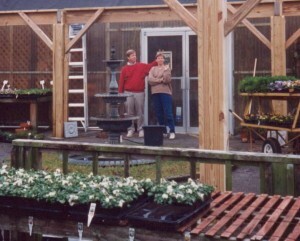 Though we saw a few of those fall by the wayside, too…greenhouse and nursery owners that finally gave up their dreams. Nothing stays the same. In 25 years there have been so many changes. And the sturdy greenhouse itself, once shiny and new, also shows the passage of time, though it’s been well and truly loved. It’s the employees that have come and gone through the years, each having brought their unique personalities, talents, and humor to their jobs, making each day one to look forward to. The ones that have moved on and those that have stayed are all players in its history and have contributed so much. Looking through various assorted pictures, it’s obvious there are gaps. 25 years ago we didn’t have ubiquitous cell phones out and ready to capture every moment. It took effort and thought to remember to bring the camera, get some photos, and hope our chosen shots turned out. 1991 – At the end of the nursery by what is now Dyron’s. 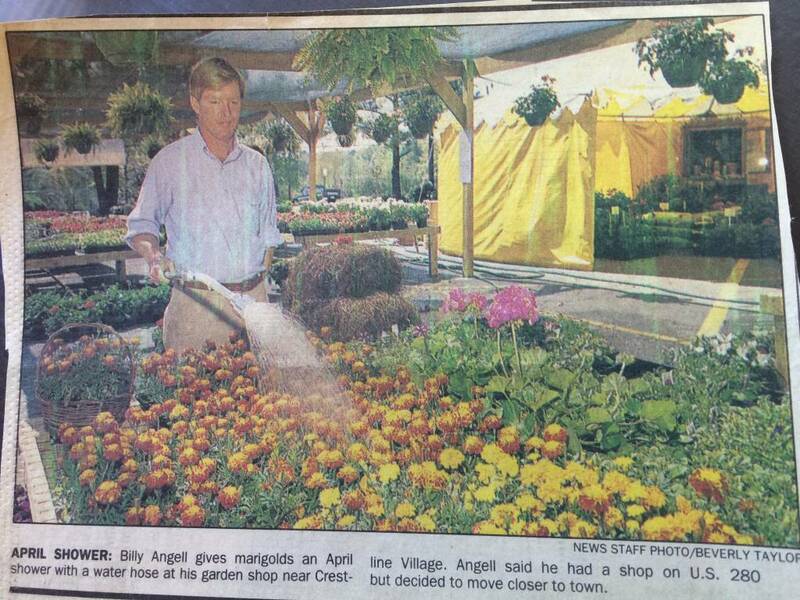 So Billy Angell established Oak Street Garden Shop without any fanfare on a chilly day in March, 1990, by putting up a yellow tent and setting some flats of bedding plants on the table he’d set up under it. His greenhouse was nearing completion, and he was sitting in the middle of what used to be a parking lot in the center of Crestline Village, in his hometown of Mountain Brook, Alabama. 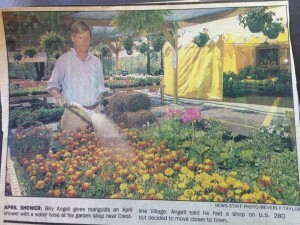 He had aptly named this new venture Billy Angell’s Oak Street Garden Shop. Outwardly he exuded confidence, but he also knew he had to succeed, since he had a mortgage, 2 children, and a wife to support. At the end of each day of business he rolled down the sides of the tent, picked up the cash drawer, loaded it into his car, and went home. 1991 – See the red lines outlining the “beds”? 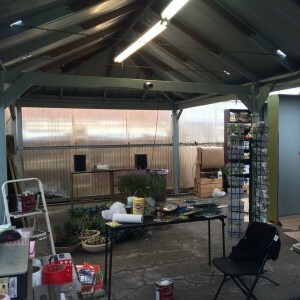 Shade house is flat…covered by shade cloth. 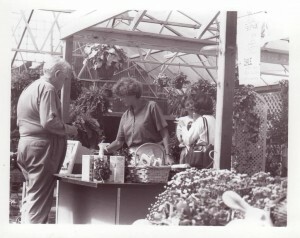 The first project on this site had actually begun earlier with the design and building of a shade house, constructed on weekends. This was a simple flat structure, with a shade cloth laid over it, to protect plants from the hot sun and scorching heat that radiated off the asphalt of the old parking lot. 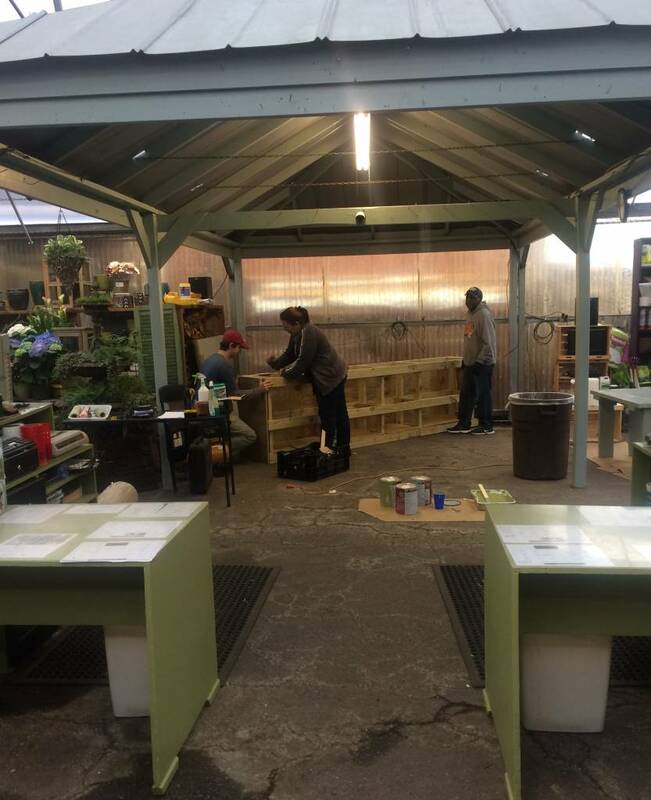 That January, he left his other job for good and was ready to begin building his greenhouse. 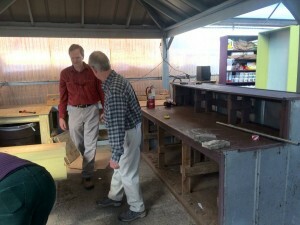 It would have just enough room for a tiny office and restroom tacked on to one end (Until it was completed, the “facilities” consisted of a port-a-john and plants were watered with a hose hooked up to the restaurant next door). 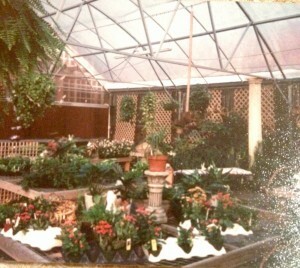 The greenhouse was finished that fall having been completely built by himself and a young boy, Tanner Broughton. 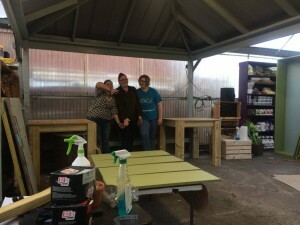 Oak Street Garden Shop was now officially in business with full time help from a former employee, Ellen Riley, and part time help from a neighbor. 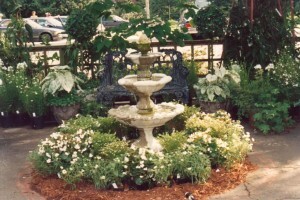 Having run a much larger nursery and landscape company previously, his smaller version was the perfect fit for him and the community, nestled next door to a favorite local restaurant and situated across the street from Mountain Brook’s City Hall and fire station and the much loved Emmet O’Neal Library. 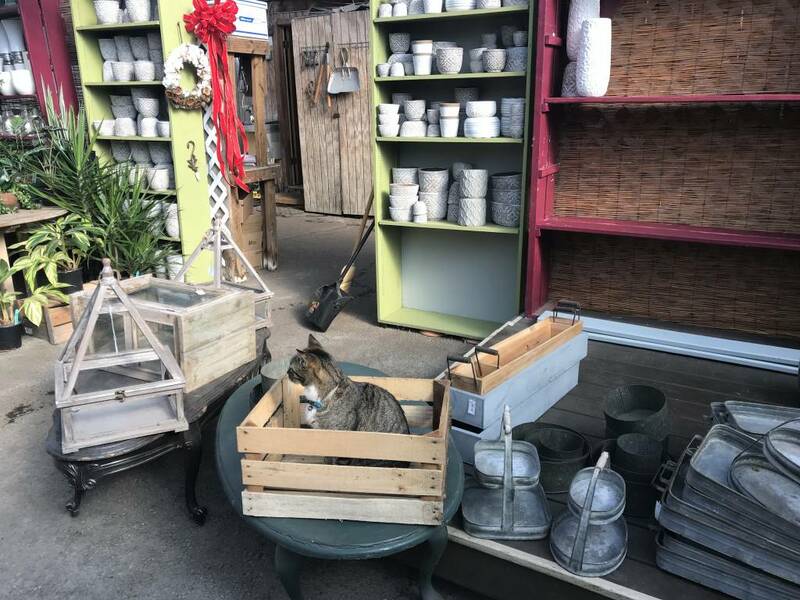 It was truly a neighborhood garden shop. 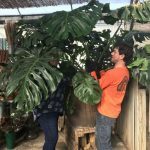 As that first year progressed, it seemed the local residents enjoyed having plants available in their community, and they supported their hometown entrepreneur. The Birmingham News even came out and took a picture. 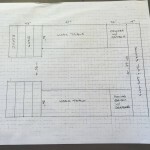 He outlined “beds” in paint to delineate where “paths” through the nursery should be, envisioning an English garden with perennials, shrubs, and planters eventually filling in the empty spaces…and, slowly, they did. The next year it was apparent that business was going well, and the addition of a second full time employee was warranted. This was more than a little nerve-wracking for Billy, as he wanted to get just the right person for his brand new business. Many people applied for the job, including me. 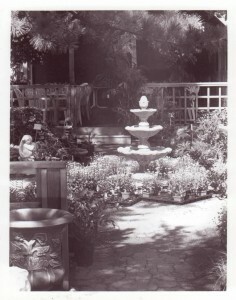 The day I applied I had gotten lost and pulled into the Fire Department to ask where Oak Street Garden Shop was located. The fireman grinned and pointed across the street. “Over there,” he said. I looked, there was no sign yet, just a few plants and a greenhouse (How did I miss that?!). I was the most persistent applicant it turns out, and it paid off, as he wasn’t entirely sold on me, but gave me the job anyway. He tells me now that Ellen had to talk him into giving me a shot. 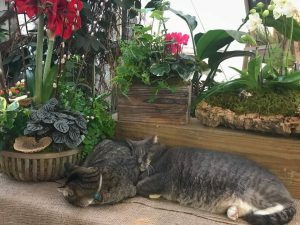 My first days at Oak Street Garden Shop were rocky. Asked to weed a pot in the nursery, I dutifully grabbed a handful of weeds and fire ants raced up my arm, stinging me to pieces. It also took some time to acclimate to working virtually outside through the heat of summer in the south, as I was from the relatively cooler midwest. But I hung in and slowly but surely became hooked. As the years progressed, we weathered the historic Birmingham blizzard of ’93, more employees came, a new shade house was built, customer’s tastes dictated more planted containers, a fresh produce area was added, and a garden came to life across the street. More on these developments in the next posts. 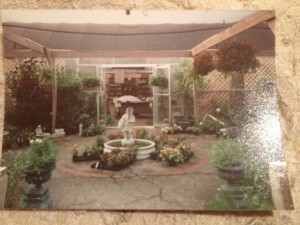 This entry was posted in Anniversary, History, Locally Owned Garden Center (LOGC) and tagged how oak street garden shop started, the history of oak street garden shop on February 23, 2015 by Kris Blevons. This January our winter temperatures dropped lower than they’ve been in two decades. While uncomfortable, this is actually good for easing the summer bug population (Ticks, mosquitoes and fleas come to mind.). 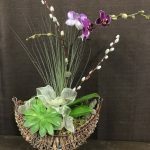 But it does put a damper on gardening efforts, though dormant trees, shrubs and perennials can still be planted and bright pansies added to planters and garden beds carry us into spring. 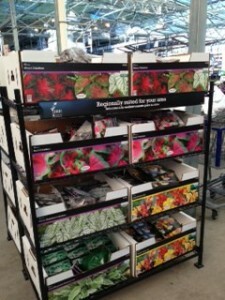 However, a friend recently sent a picture she took (mid January) of warm weather caladium bulbs that had been left outside on display racks for sale in freezing temperatures at one of the “big box” stores in town. 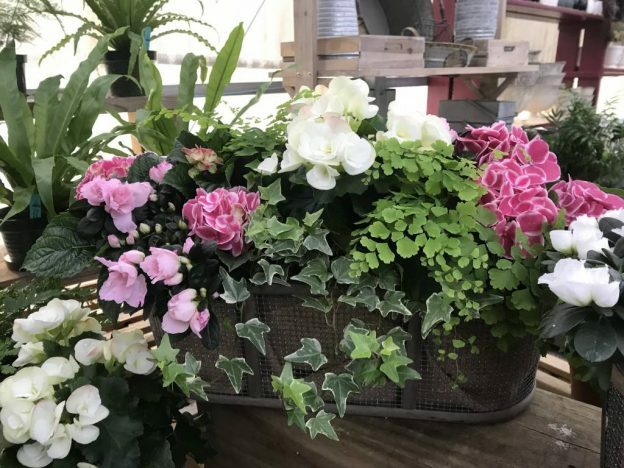 Now, caladiums grown in pots are so heat loving we don’t even begin to carry them until late April – and advise people not to plant caladium bulbs in the ground until the soil is thoroughly warmed in May. Why should this matter to you? Because, if you weren’t aware of this, you or your neighbor might have bought these and, on the next warm, sunny day, planted them. 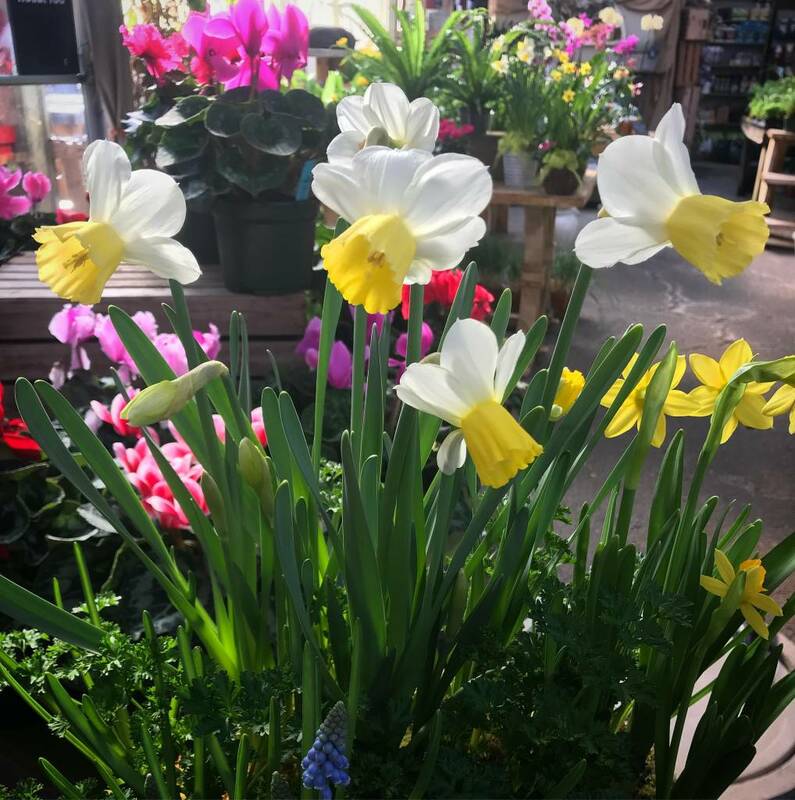 Of course, after having been left outside on the racks in those temperatures, your gardening failure is guaranteed since the bulbs were not properly taken care of. 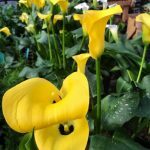 It’s highly questionable whether they should even be for sale yet – unless they think someone will purchase them to start inside in pots and plant them outside at the proper time (May, remember?). 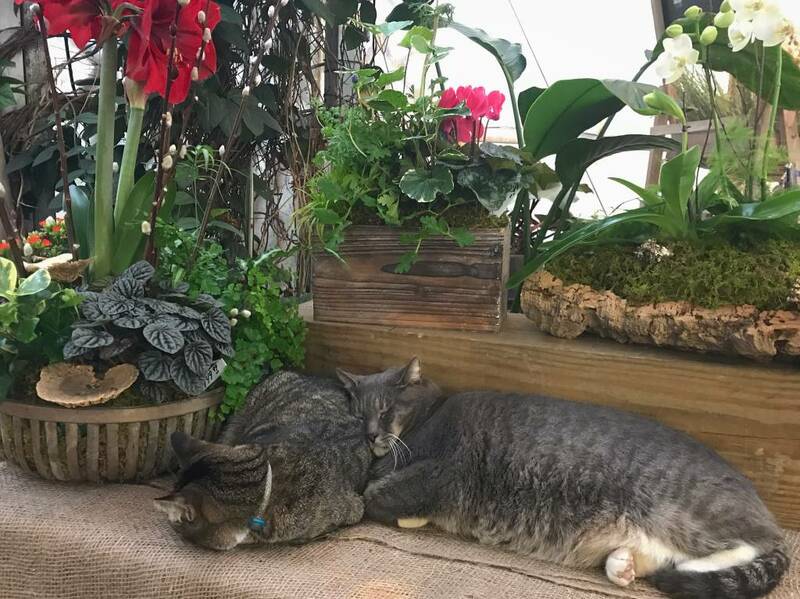 This is just one example of why shopping for your plants with people who sell only plants, at locally owned, independent garden shops, matters. Thanks for reading. This entry was posted in January, Locally Owned Garden Center (LOGC), Planting Tips, Winter and tagged the best time to plant caladiums, the proper time to plant caladium bulbs, warm weather caladium bulbs on February 8, 2014 by Kris Blevons. A Few Thoughts…What Does “Buy Local” Really Mean? 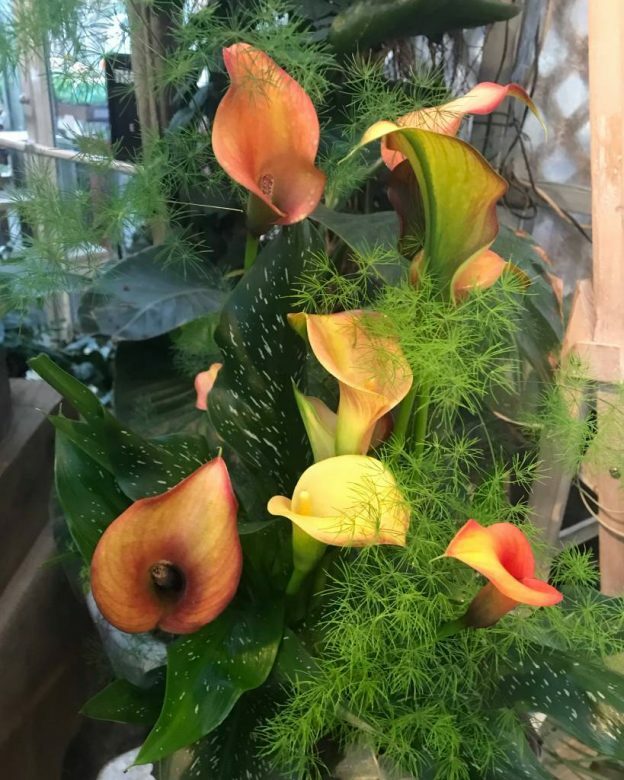 A while back there was a bit of a flap in horticultural circles when a local writer for a national magazine inferred in his online blog that local garden centers were one of the worst places to buy plants because they were “like a hospital”, full of disease. Even after his apology, which was much appreciated, I have to admit I was still perturbed. 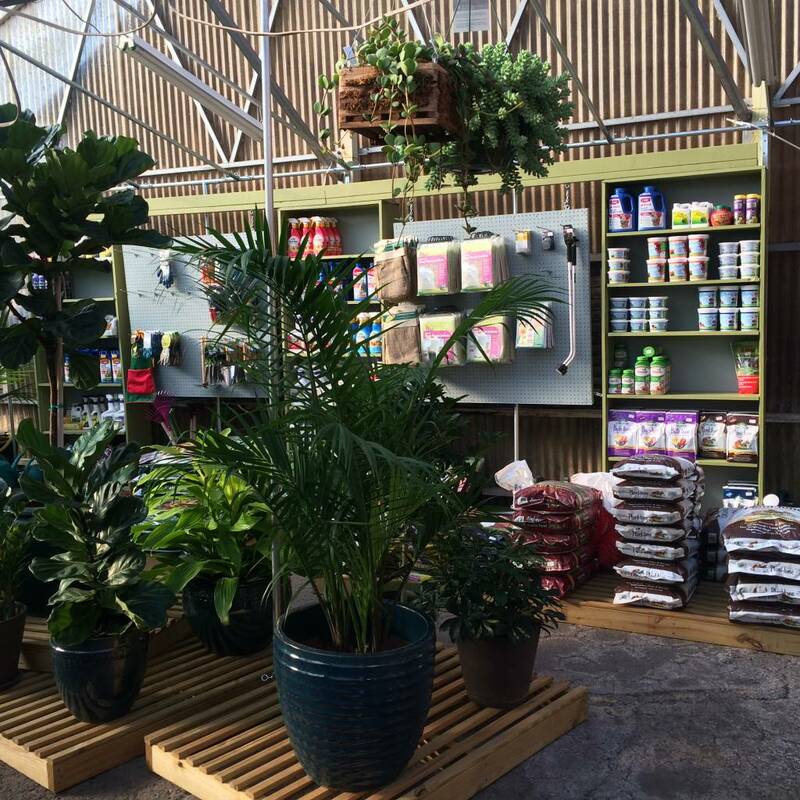 Because selling plants is our business, there’s nothing to be gained by having plants that aren’t healthy. 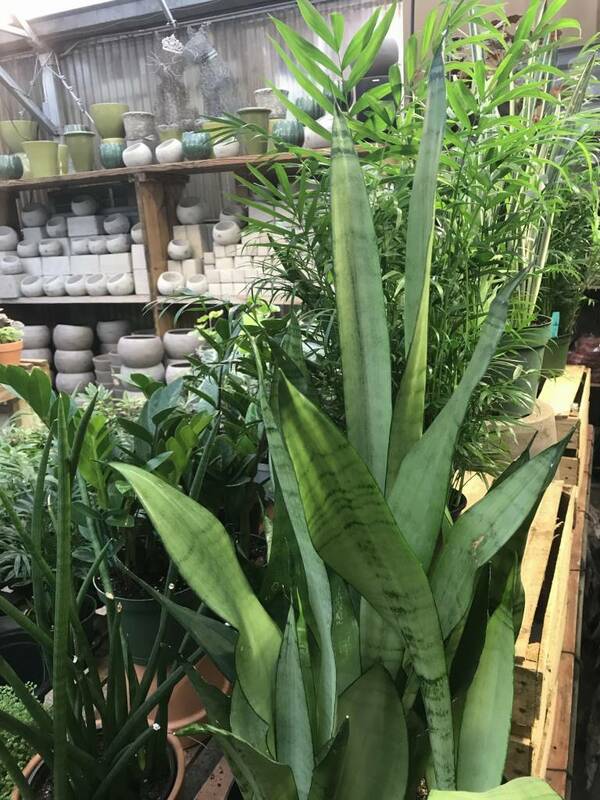 Because selling plants is our business, it is in our best interest (and, of course, yours) to also ensure we’re buying healthy plants from our many local suppliers that will eventually end up in your hands, our customer. We don’t sell flashlights on aisle three and plumbing fixtures on aisle 14. 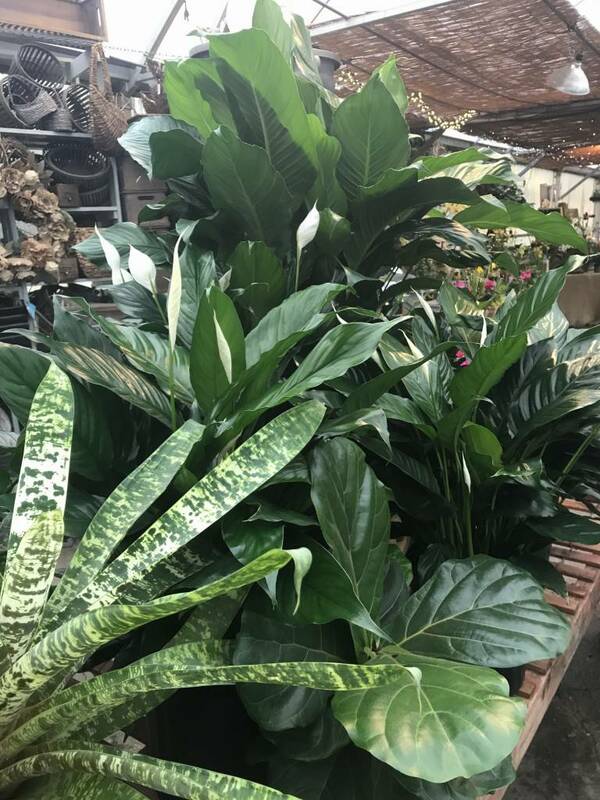 We sell plants. 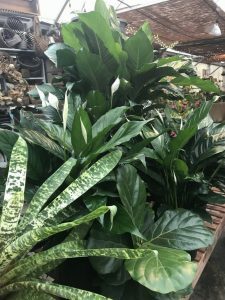 So, if there’s a problem on our plants, whether it be insect or disease, we deal with it promptly. Our business and our reputation depend on it. It’s what we do. But there’s also another important point coming to light because of this online article. It seems some people think buying “local” includes large national chains that are anything but local, though they might be right down the road. Of course, I understand and can appreciate that there are folks who don’t have the excellent option of a Locally Owned Garden Center (LOGC), and I’m not saying don’t buy anything from national chains. I’m just gently suggesting that you not rely on them for the majority of landscaping needs – especially as there are so many wonderful LOGCs in Birmingham, run by passionate and dedicated folks who have every incentive in wanting you to succeed in your gardening endeavours. 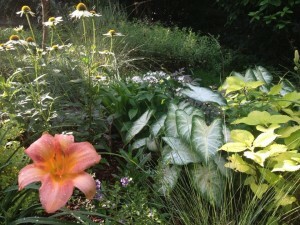 Some of us carry more annuals and perennials, others have larger plant material; but we all have one thing in common. We’re truly local, locally owned and proud of what we do. Thank you for your business! 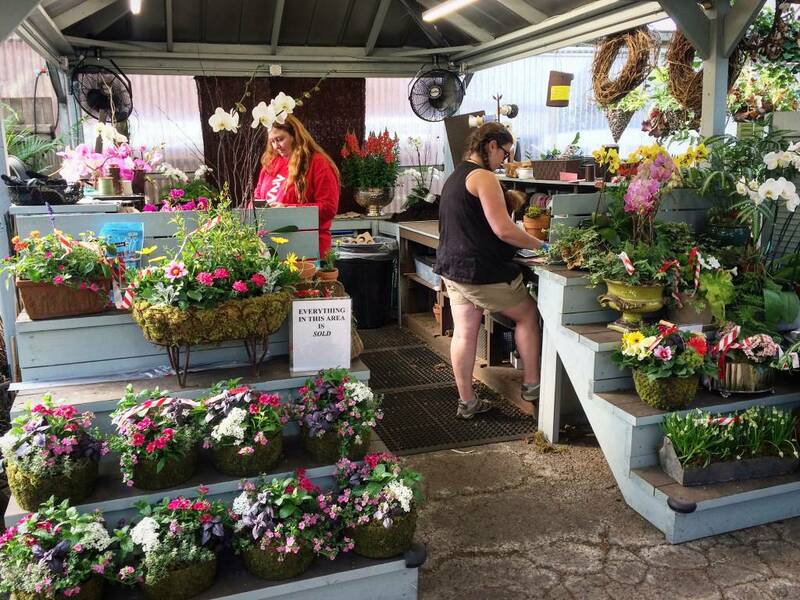 This entry was posted in Locally Owned Garden Center (LOGC) and tagged birmingham independent garden shop, buying local plants, independent garden shop, locally owned garden centers, small business saturday on October 28, 2013 by Kris Blevons.